Samantha E. Cole - Gonser and Gonser, P.A. Announcement: Samantha now offer mediation services for all disputes, not just family law. Samantha Cole is an associate attorney with Gonser and Gonser, P.A. where she practices exclusively in the area of family law. 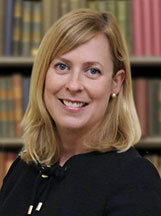 Samantha’s practice includes all areas of family law, including sophisticated and complex divorce and support matters. She’s handled contentious custody disputes, including custody relocation occurring within the Commonwealth of Pennsylvania and throughout the country and even abroad. Samantha has also assisted clients in negotiating and preparing prenuptial agreements, marital settlement agreements, and custody and support stipulations. Samantha also focuses her practice on drafting prenuptial and antenuptial agreements for those who wish to make specific designations for their spouse, children and business interests. Samantha is particularly sensitive to the stress and overwhelming emotions clients frequently experience during difficult family matters. She believes in a direct and candid approach with her clients during the legal process so that they fully understand their options, possible outcomes, and can make meaningful and knowledgeable decisions through their matter. Samantha is a member of the Pennsylvania Bar and Chester County Bar Associations. She previously held positions as recording secretary and treasurer of the Delaware County Bar Association, Family Law Section. She is a recipient of the Nicholas D. Vadino Memorial Award (2004) and the Delaware County Pro Bono Board (2004). 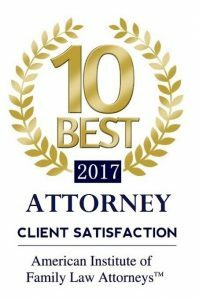 Main Line Today Magazine recognized Samantha as one of the 2015 Top Lawyers in the area of family law, and she was recognized again as a Top Lawyer in 2016. Prior to joining Gonser and Gonser, P.A., Samantha was an associate with a Chester County based firm, and prior to that with a Philadelphia based firm. She clerked for the Honorable John L. Hall of the Chester County Court of Common Pleas, where she primarily assisted the Judge with family law related cases. She additionally practiced family law in Media, Delaware County for a number of years. Samantha is a graduate of the Villanova University School of Law.